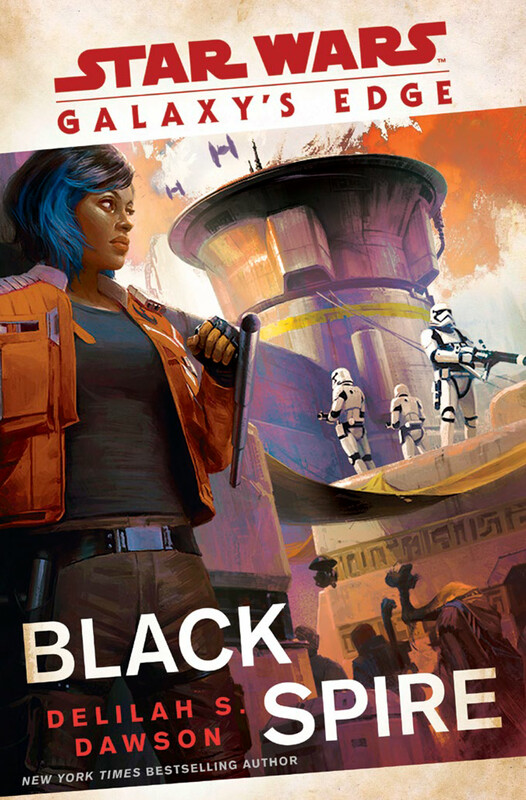 Lucasfilm and Del Rey publishing have released the cover and official synopsis for the upcoming novel Star Wars: Black Spire. The novel ties-in with the upcoming Star Wars: Galaxy's Edge theme park expansion coming this summer to Disneyland in California and Disney World in Florida. Black Spire is written by Delilah S. Dawson, who has previously written the The Last Jedi tie-in novel Star Wars: Phasma in 2017. The book will be released on August 27th (two days before Galaxy's Edge opens at Disney World). 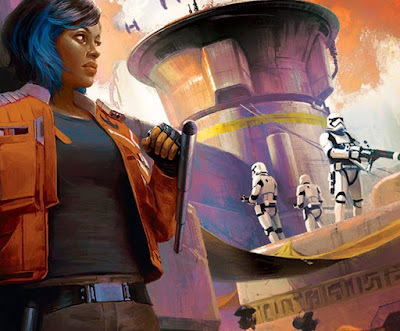 Vi Moradi previously appeared in the novel Phasma, Baatu was previously seen in the novels Pirate's Price and Thrawn: Alliances, and the outpost of Black Spire was first mentioned in Solo: A Star Wars Story. Galaxy's Edge will open at Disneyland first, with May 31st being opening day in California, while the park will open a little later at Disney World, with August 29th being the big day in Florida.